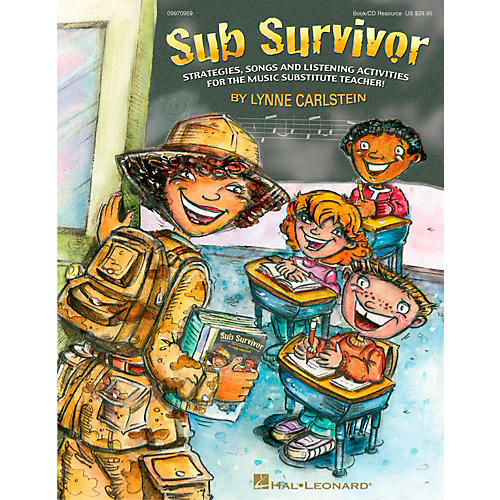 Equip yourself with all the tools you'll need to face that next music class with Sub Survivor. This creative resource offers a special section of teaching tips to keep you prepared and organized with "the notebook" and "lesson packs" close by. Easy-to-follow lessons offer a variety of age-appropriate listening activities, games and writing projects with cross-curricular connections! In addition, over 20 songs by top choral writers John Jacobson, Emily Crocker, Mac Huff, Roger Emerson, Cristi Miller, John Higgins, Rollo Dilworth and Alan Billingsley are included on the enclosed sing-along CD to enhance lesson time even more. For additional value, reproducible lyric and activity sheets are offered. Available: Book/CD Pak. For Gr. 1-6.